10x Wide-Angle Zoom-NIKKOR ED Glass Lens has a versatile zoom range from 30mm to an impressive 300mm telephoto coverage that gets you close to the action while capturing expansive landscapes. The NIKKOR ED lens is built on a proud heritage of producing precision camera optics that delivers superb colour and razor-sharp results. New Incredible, Bright 3.0-inch High Resolution VGA (921,000-dot) Clear Colour Display makes images and movies come alive with rich detail and improved contrast. The large LCD makes it easy to compose and share your pictures with a wide-viewing angle and anti-glare coating. Quick Performance with ultra-fast start-up, autofocus and shooting. 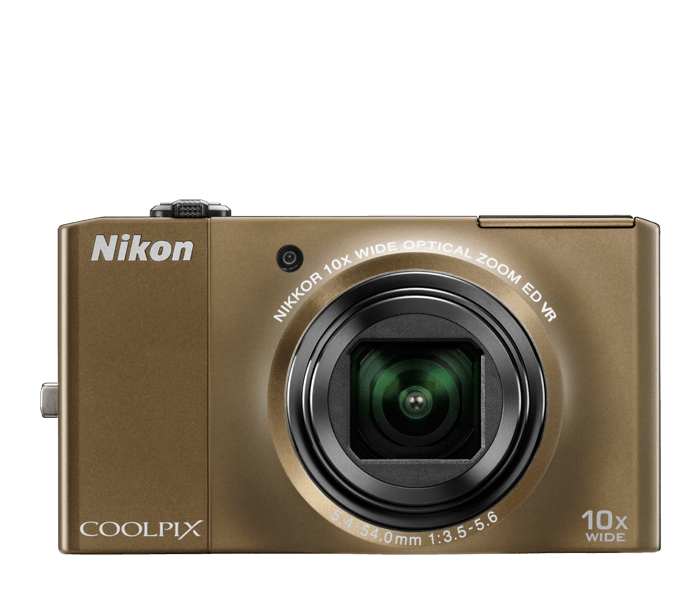 Sports Continuous shooting enables high-speed shooting at approximately 3 fps for images up to 45 frames (3MP). New Creative Slider creates pictures, in camera, the way you imagine them by simply you adjusting brightness, vividness and colour hue. Scene Auto Selector automatically recognizes the scene in your picture and selects the most appropriate scene mode (6) + auto mode. Macro shooting as close as 0.4”.